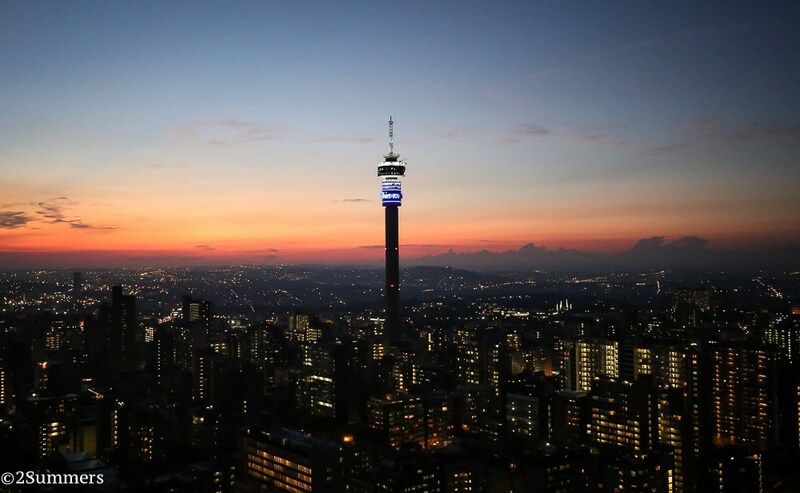 A city of contrasts and deep divisions, Johannesburg is vibrant, beating with the tell-tale dynamism of a massive conglomeration going places. There is a sense of urgency, relentlessness and possibility. It is sprawling, dangerous and chaotic, yet bursting at the seams with optimism. The story of cities is the wonderful human tale of individual self-transformation. Cities are places you move to in order to change yourself. Jo’burg teems with millions of newcomers seeking a better life, trying to get away from somewhere and propel themselves somewhere else. Such is the narrative of all great urban centres throughout history. It is the story of the established classes moving out, replaced by newcomers hoping to move up. Deep in Hillbrow, once the art deco home of the middle class and now home to “dark buildings” (slum tenements run by gangsters), Irishman Terry Behan runs a boxing club in the operating theatres of a long-abandoned municipal hospital. He saves lives through boxing, offering street kids dignity and worth via discipline and sport, enabling them to re-start their lives and begin their process of self-transformation. The club is called Fight with Insight and its hero, painted on the huge mural outside the building, is the most famous South African boxer of them all: Nelson Mandela. In the vibrant eco-system of abandoned urban areas, people who leave are replaced by others. Hillbrow in the 1970s had been known as a “grey area”, neither exclusively black nor white. At the end of apartheid, whites fled to the suburbs once tens of thousands of poor blacks moved in. Despite its violent reputation, Hillbrow has recently turned itself into a sort of Dubai of southern Africa. Side by side with the gangsters, the drugs and the destitution, it operates as Africa’s bazaar. Traders from all over the continent come here to buy wholesale original and counterfeit products at bargain basement prices and then head back, in laden down buses and trucks, to Zimbabwe, Mozambique and much further north. To facilitate this trade, South African airlines allows a 60kg discount bags offer for destinations like Nairobi, Entebbe and Dar es Salaam. In Hillbrow, French, Portuguese as well as English, Zula and Xhosa fill the air as buyers haggle for their bargain. The whole of Africa is here, buying, selling, bargaining, deal making and getting on with the noble pursuit of commerce and financial self-expression, driven by that most universal of all economic referees: profit. Aggregate economic growth in Africa was five to six per cent in the ten years between 2004-2014, but weaker commodity prices knocked that back to just 2.5 per cent in 2015-2017. However, four of the ten fastest-growing economies in the world in 2017 were in Africa and the UN forecasts that African nations will take six of the top ten spots in 2018. Africa is rising and it is one of the most significant global economic stories of the 21st century. One other big economic story also played out this week here in Johannesburg: the story of global power passing from America and Europe to a combination China, India and Russia with the support of Africa. The rules of our world were set up by the USA at Bretton Woods in 1947, where the UN, the IMF and the World Bank were introduced to run the world in America’s interest and, most importantly, with the US dollar at the centre of the new world order. By ensuring the dollar replaced sterling as the default currency of much of world trade, the Americans immeasurably enhanced their leverage. This was Pax-Americana. As long as the USA was top dog, this status quo remained broadly unchallenged. But those days are over. America may be an incredibly powerful country, but it is on the decline. The new challengers are China with the money, Russia with the guns and India with the people. Add Africa with the resources and you have an intoxicating brew. Last weekend, presidents Putin, Ji Xinping, Modi, Ramaposa and Tremer of Brazil met in Jo’burg to discuss the future. These are the so-called BRICS, a loose, informal alliance that could become something more coherent, filling the void left by a retreating, nativist America. It would be ridiculous to think that China is not eyeing a parallel set of global institutions to shape the world in the future, just as America did in 1947 when it was supreme. The country with the money always sets the rules. We already have examples of the China-first institutions set up by the BRIC nations to rival the post-war Western international outfits that oversaw the era of Pax-Americana. The New Development Bank or NDB was established in 2014 by China in conjunction with Brazil, Russia, India and South Africa, each putting up an initial $10bn capital stake. Essentially providing a Shanghai-based counterbalance to the Washington-based IMF and World Bank, the Asian Infrastructure Investment Bank is a Chinese-led development bank headquartered in Beijing, which began operating in 2016 with a mission to improve social and economic outcomes in Asia and beyond. Then there’s also the Belt and Road Initiative which sees China pushing for a modern day silk road, expanding maritime trading routes and land infrastructure networks across over 70 countries in Asia, Africa and Europe, encompassing nearly 4.8 billion people, more than half the planet’s population and economies worth a total some $21 trillion or 62 per cent of global GDP. This is Chinese cheque-book diplomacy in action. Russia has a huge interest in this new world order, as does India, which is soon to be the most populous country on earth. Meanwhile, South Africa is a crucial part of the jigsaw because it is still by far the largest and most important economy in Africa. As the politics of nostalgia engulf the West – with Trump, Brexit and much of European political movements trying to bring us back to an alleged better, less confusing and more simple recent past – the rest of the world is forging ahead and embracing the future. Sitting in deepest down-town Johannesburg you can see, smell, hear and feel the enormous energy of change. It is the vitality of humans seeking dignity and it is the story of the vast majority of the globe. The world is spinning on its axis. No mention of the illegal seisure of the white farmers land and their murders. South Africa is another murderous regime. A 2nd Zimbabwe in the making to ruinization. BRIC nations are not as inefficient as the western world yet ? Ireland has 800% higher debt per capita repayments than China? 1400% higher debt per capita debt repayments than Russia? National debt per capita as a ratio of the median income might be a more accurate metric. At least it will be more a relevent sustainable repayment metric. How come ALL the National Debt meters are running like the electric kettle is left on non stop ? Where is the Magic money coming from? $62,700 (54,000e) per capita national debt is 146% of Irelands average income. But % employment has to be a repayment factor. Irelands debt per capita $62,700 ratio to average incomes(37k euro = 43k dollars) x % pop employed. Ireland has .4 pop employed. Ireland has a 365% debt exposure ratio per employed capita. What is debt sustainability ? Does a country’s constitution allow politicians to raise debt unsustainability for their own snapshot of time, to be repayed back by the next generations suffering ? Nothing is declining as fast as freedom of speech if the liberal intelligentsia of the leftist persuasion have their way. And – if I get the inclination and sobriety – I will regale you all of some of the most outrageous and true stories that ever found the light of day – I really do not know why I am still alive – Jaysus: I and my generation really let it out – but as a nation we were always pretty much on the naughty side. To the diaspora – Paddy O’Byrne and Terry Wogan: not greatly loved in Ireland – gave us all the feeling that home was still there – and we love them still. David – Have you ever seen your mother weep when you got on a boat to go overseas – I have – until you have experienced that you do not know what it is to be Irish – and to my shame, I did not understand until I grew up. And finally David, I found out that the ordinary stuff that ma and pa, mam and tad, mum and dad, who taught me, was right and I was wrong – the ordinary catholic stuff is really better than what fashion has to offer. The retraction in the US housing market portends??????????????? ?